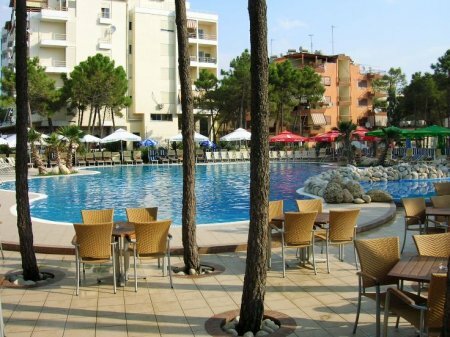 Placed at the most beautiful seaside of Adriatik Sea with a surface of 5000 m2, Dolce Vita Hotel is a 7 floor building with 50 rooms, 4 bars, 3 restaurants, pizzeria, tavern, conference hall, gyms, disco, parking and a great swimming pool. 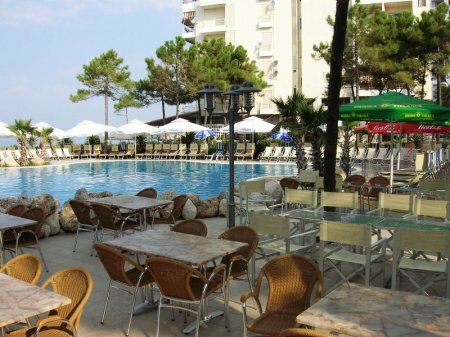 With a beautiful sea view and a big garden with all kinds of flowers and trees you will find in the hotel comfort and relaxation. 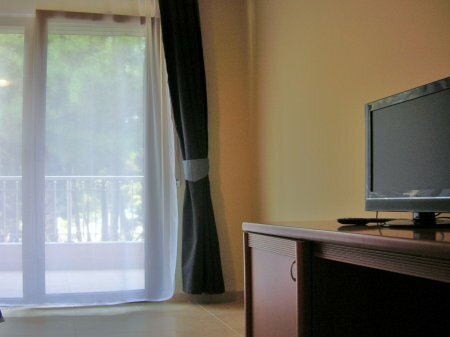 The vacation in this hotel will remain long time in your memory. During the low (01/01-15/06 and 11/09-31/12) and medium season (16/06-15/07) reservations cancelled at least 24 hours, prior to the arrival date, will be fully refunded. Cancellations less than 24 hours, prior to the arrival date, will be charged for the first night. During the high season (16/07-10/09) reservations cancelled at least 48 hours, prior to the arrival date, will be fully refunded. Cancellations less than 48 hours, prior to the arrival date, will be charged for the first and second night.